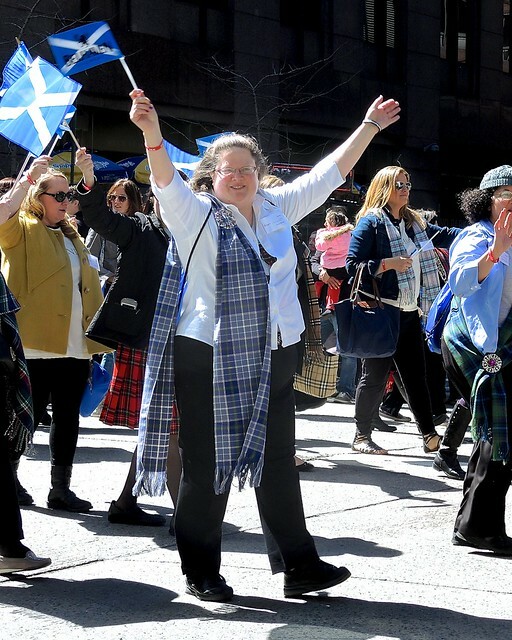 Well, that didn’t take long. 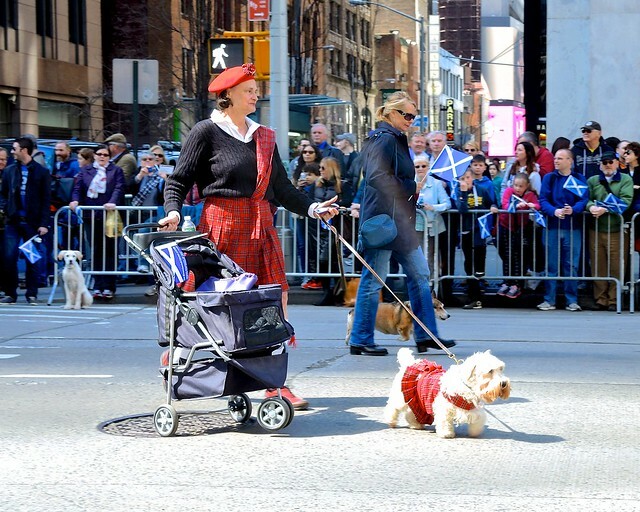 On April 3, Hillary Clinton announced that she would be locating her presidential campaign headquarters at 1 Pierrepont Plaza in Brooklyn. 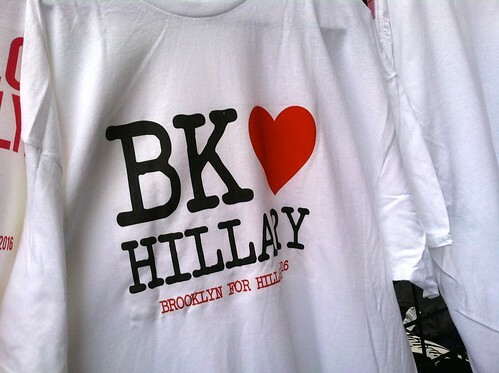 Today, vendors were selling t-shirts with the slogan “Brooklyn Loves Hillary” on Court Street in Downtown Brooklyn. 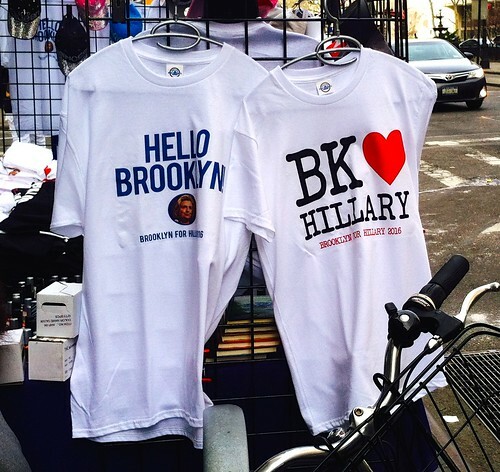 Politics may sometimes be slow, but capitalism and consumerism move quickly — at least, that’s how it works in Brooklyn. 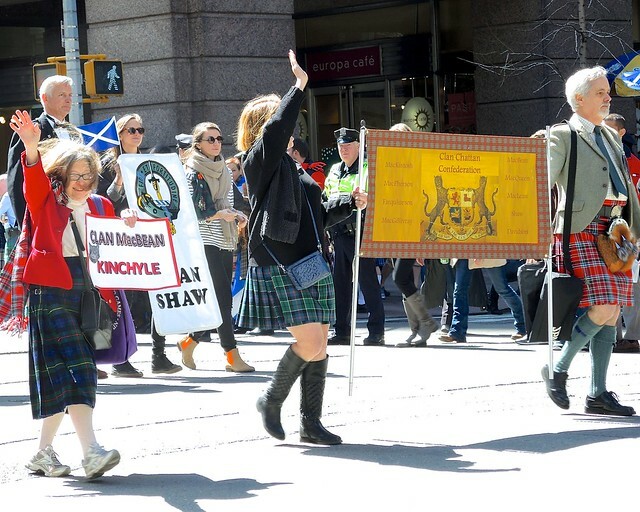 As long as but a hundred of us remain alive, never will we on any conditions be brought under English rule. 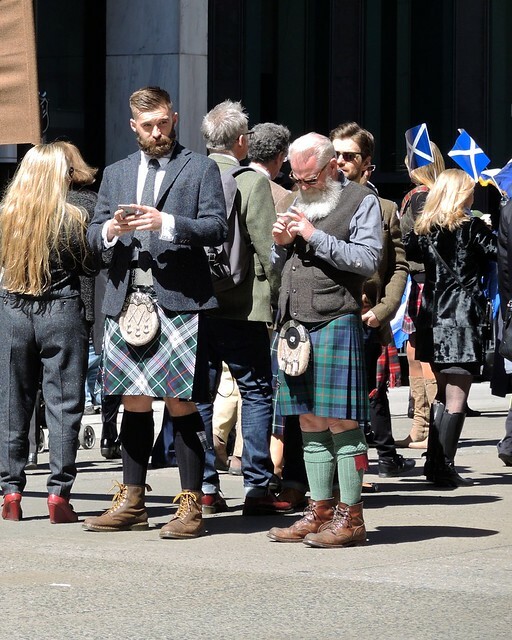 It is in truth not for glory, nor riches, nor honours, that we are fighting, but for freedom – for that alone, which no honest man gives up but with life itself. 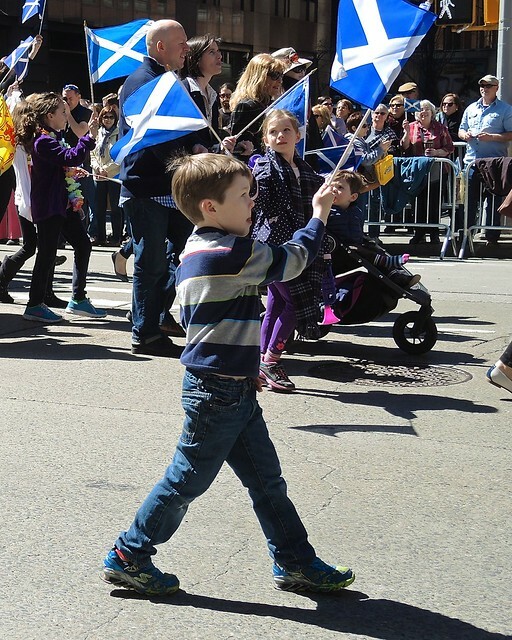 On April 6, 1320, Bernard of Kilwinning wrote a letter to the Pope, proclaiming Scotland as an independent, sovereign state. 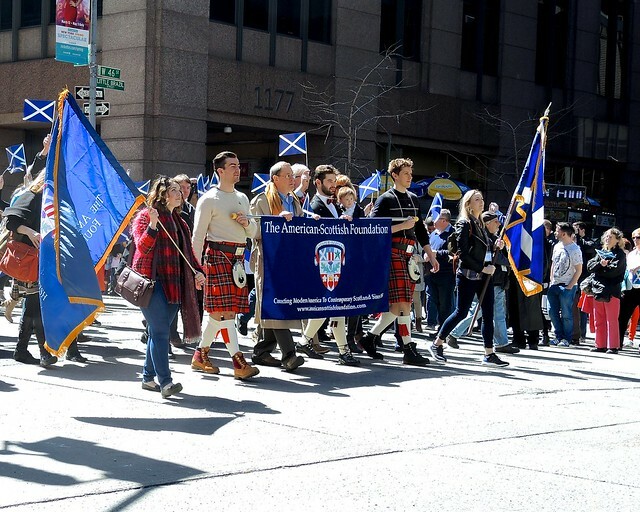 Bernard was then the head of Arbroath Abbey, a monastery along the coast of the North Sea, and the document, written in Latin and sealed by eight earls and about forty barons, became known as the Declaration of Arbroath. 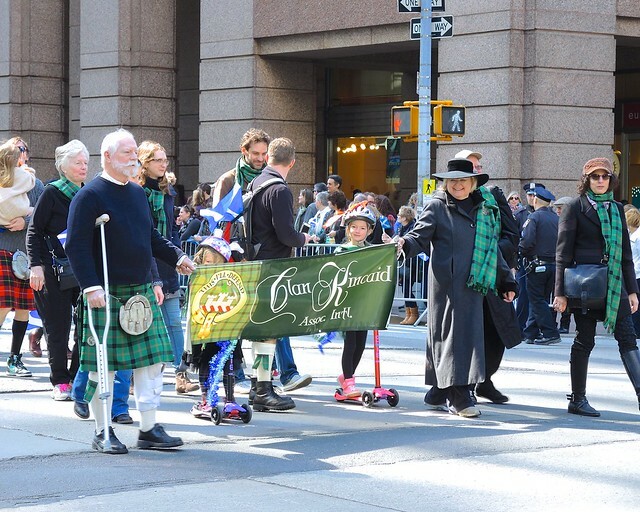 More than six hundred and fifty years later, a group of New Yorkers chose the date of Bernard’s missive to celebrate their Scottish heritage. 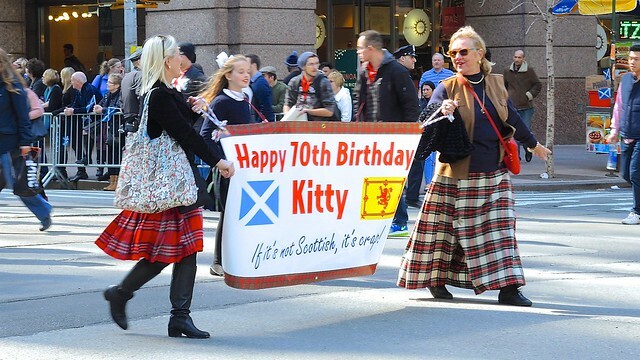 Their enthusiasm was contagious, and by 1998 the U.S. Senate recognized Scottish-Americans’ contributions to the nation by declaring April 6 as National Tartan Day. 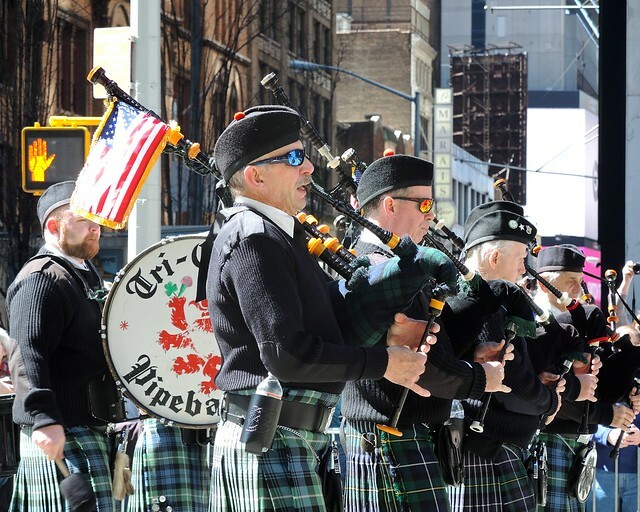 The Scots-centric festivities have grown and become a yearly event, dubbed Tartan Week, which honors all things related to the land once known as Caledonia. 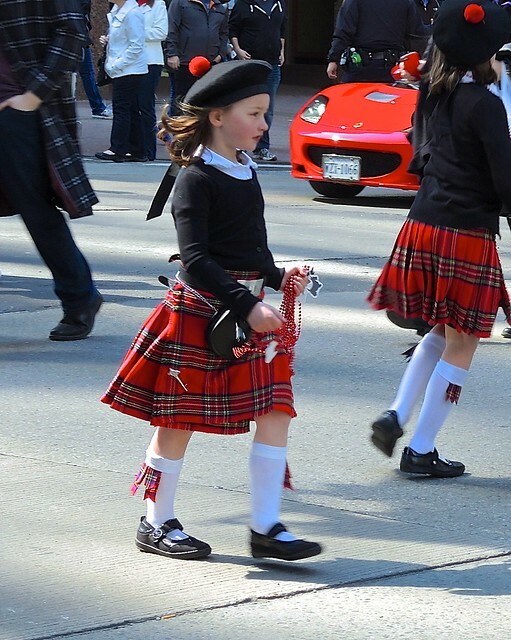 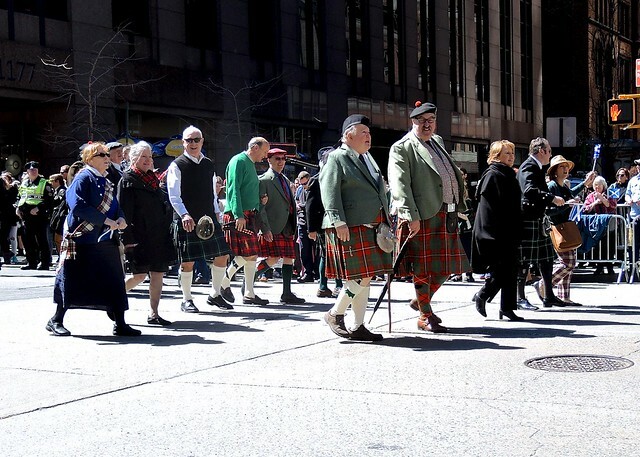 The highlight of the week is the loud and colorful Tartan Day Parade. 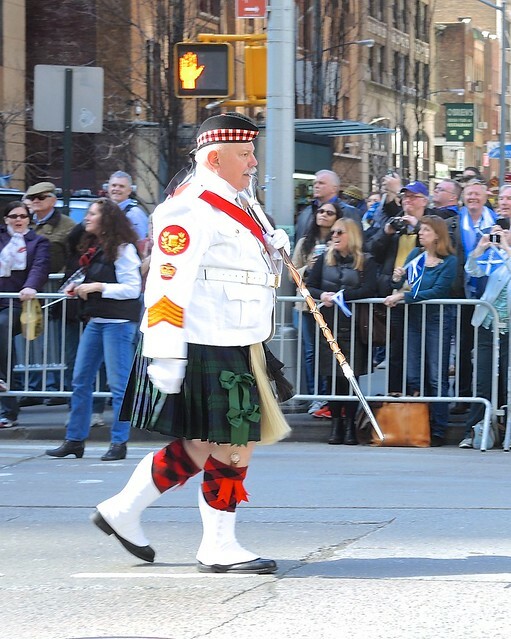 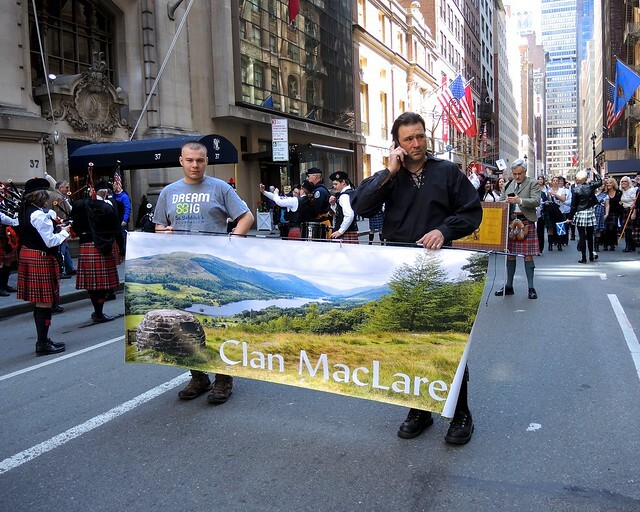 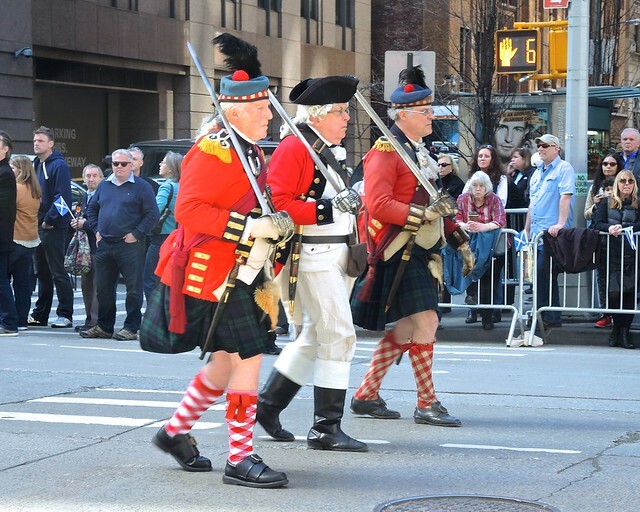 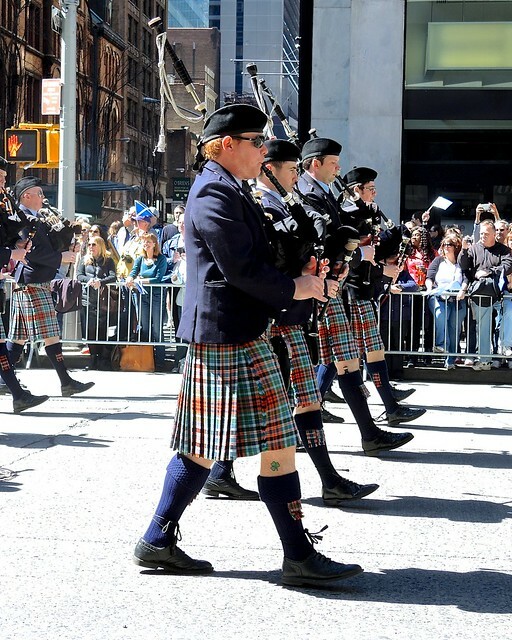 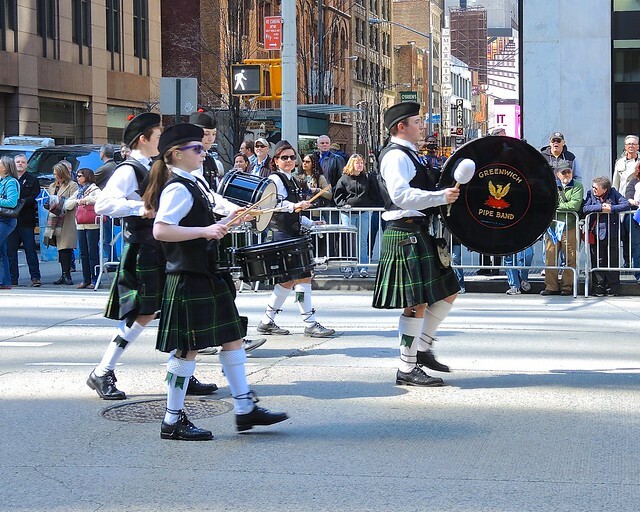 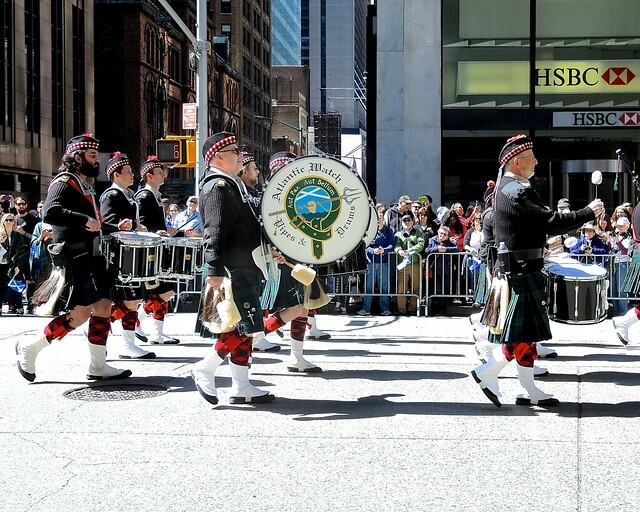 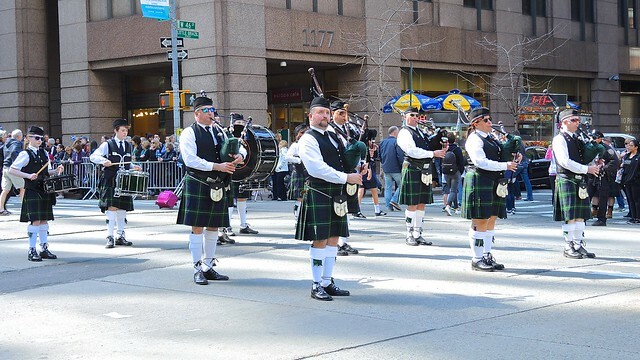 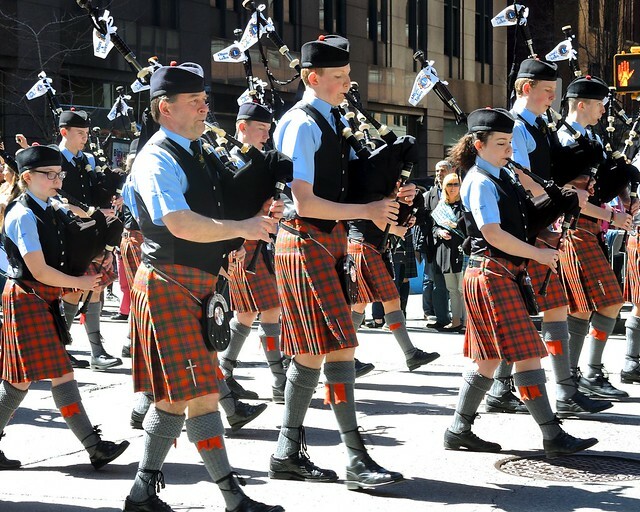 In the first New York Tartan Day Parade, a small, loosely organized group marched across the Upper East Side, from the British Consulate to the United Nations, while clad in kilts and playing bagpipes. 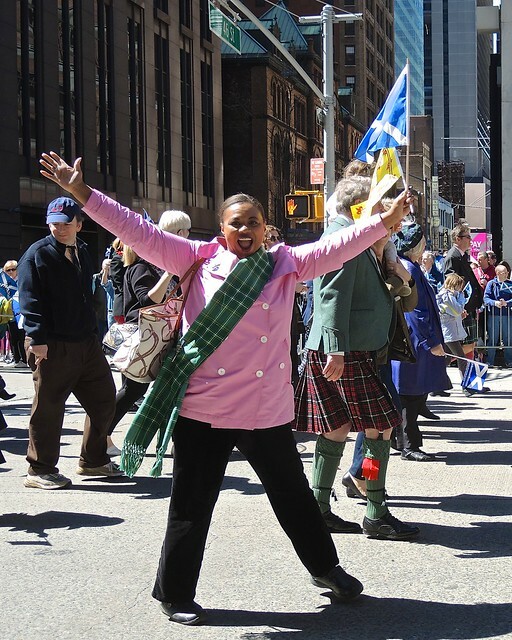 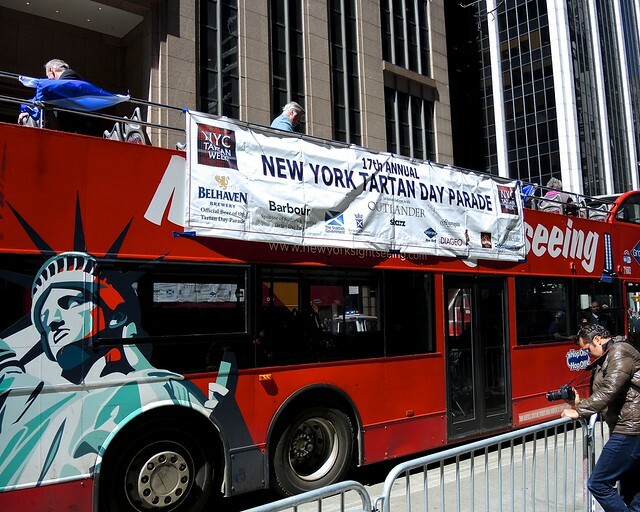 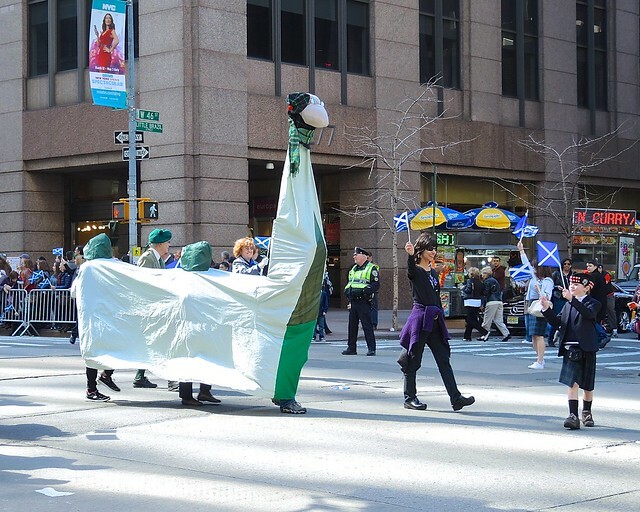 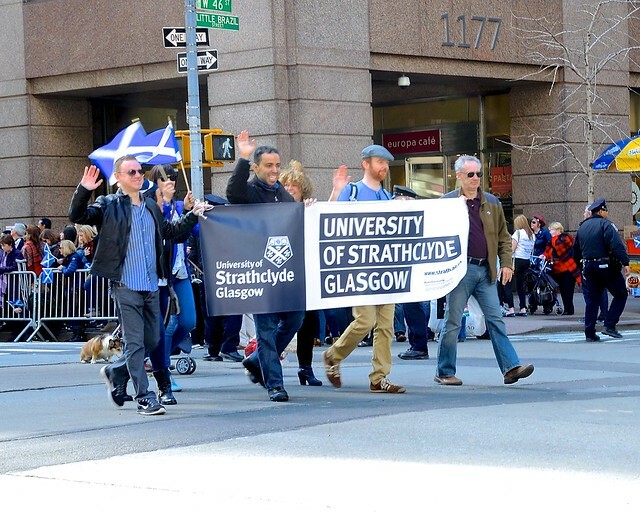 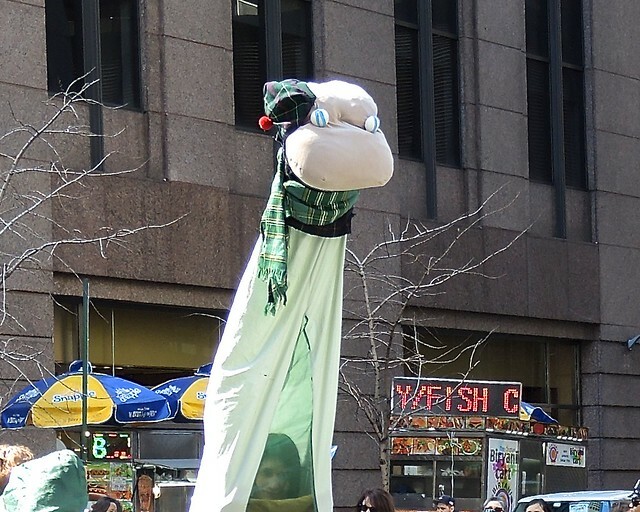 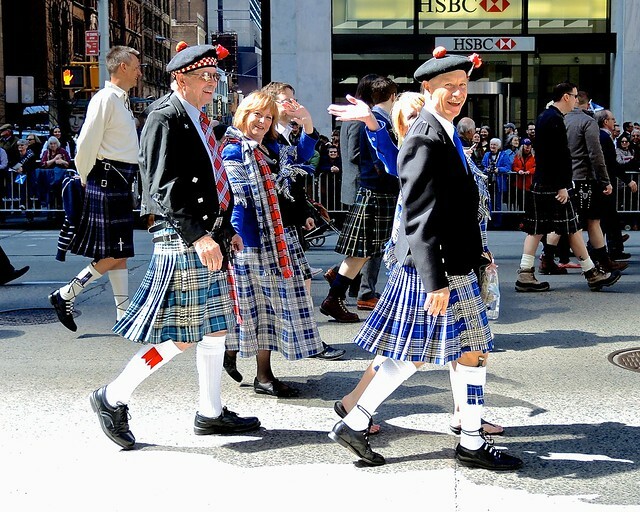 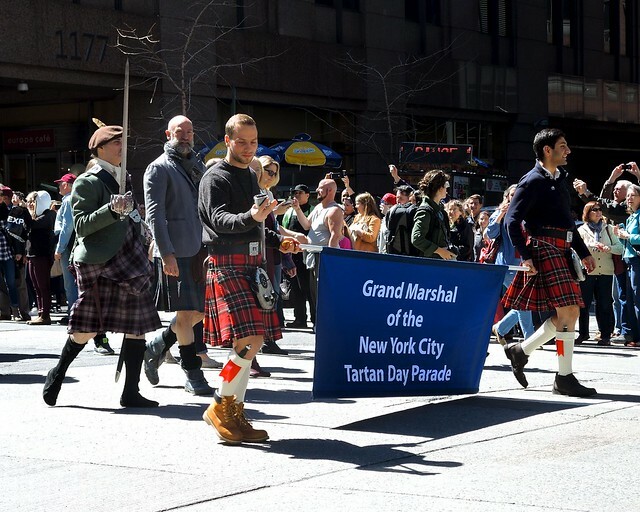 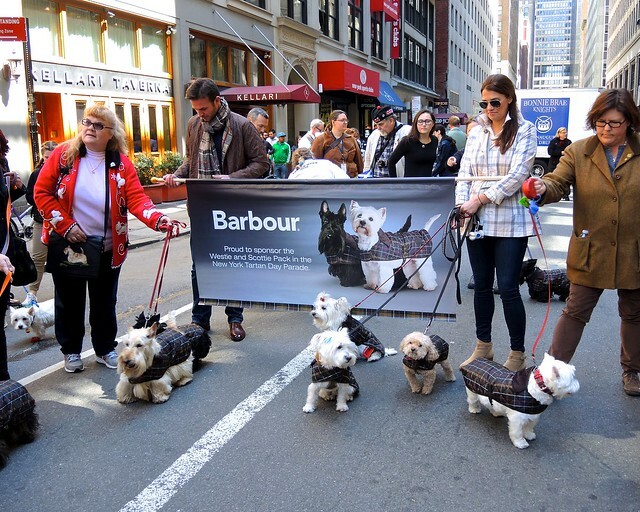 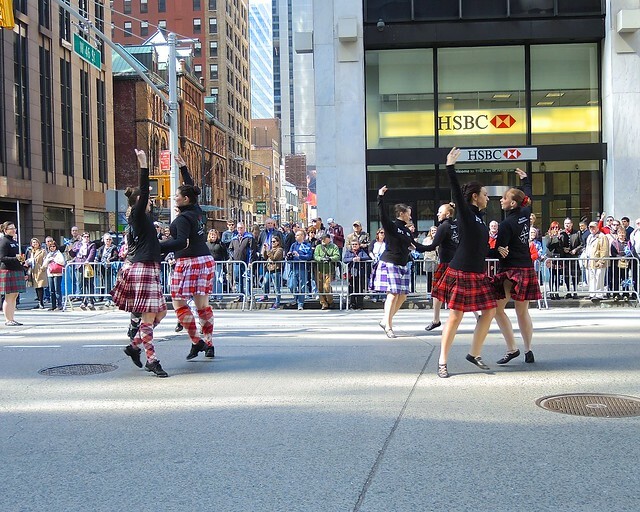 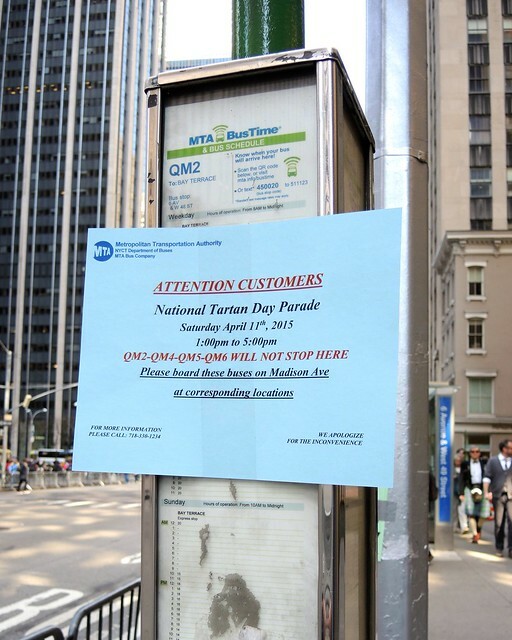 Today the 17th annual New York Tartan Day Parade was held on Sixth Avenue. 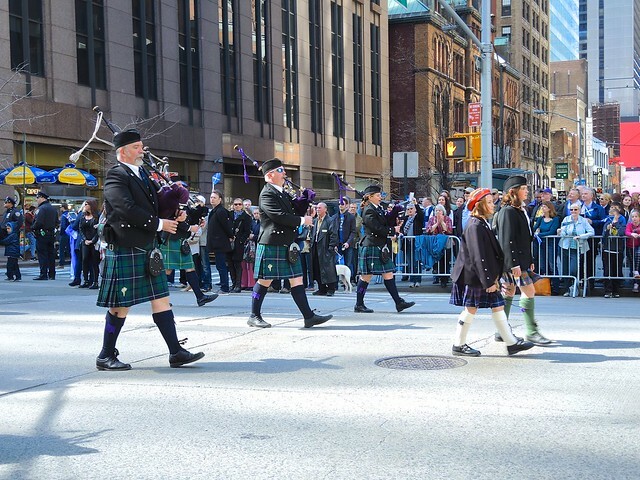 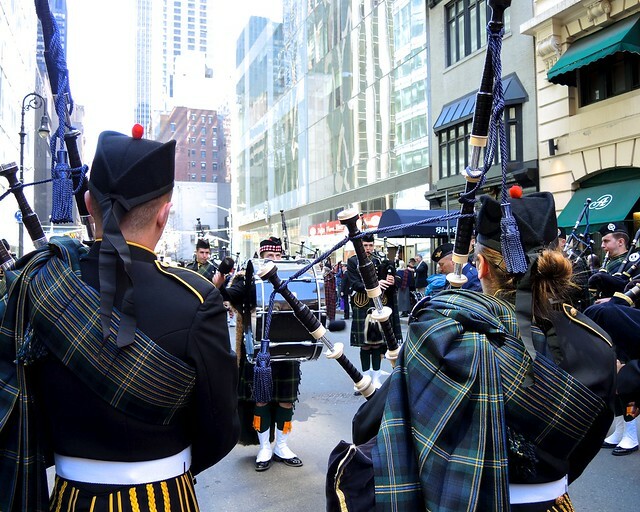 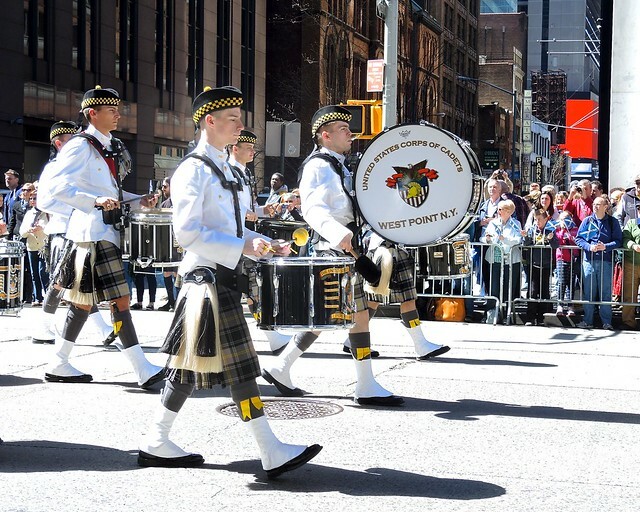 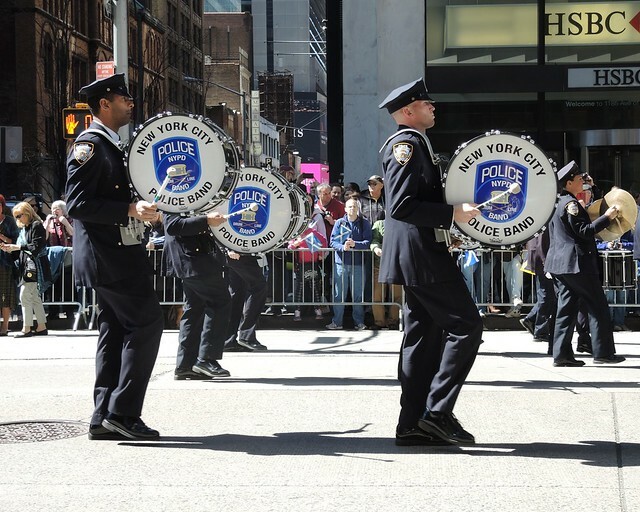 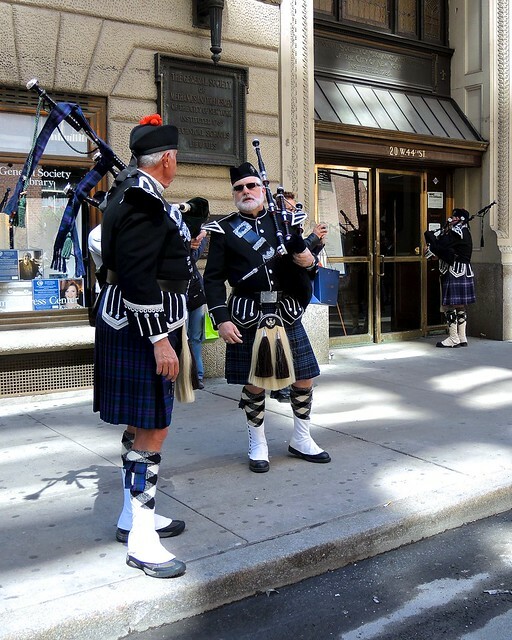 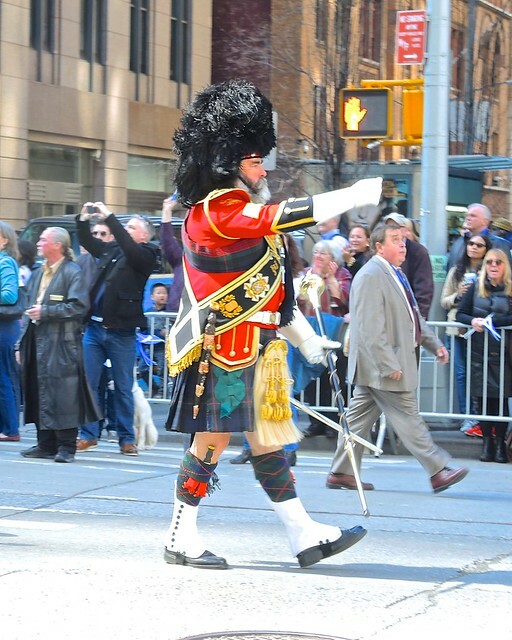 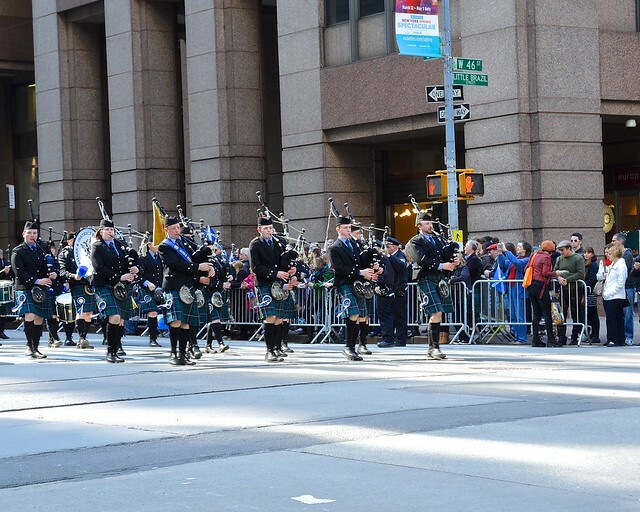 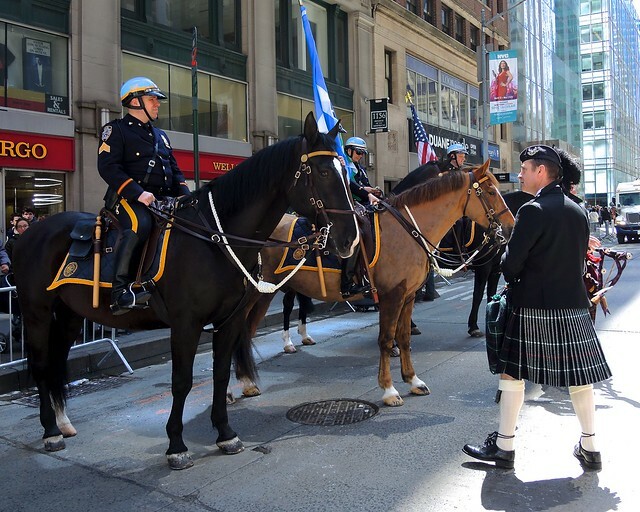 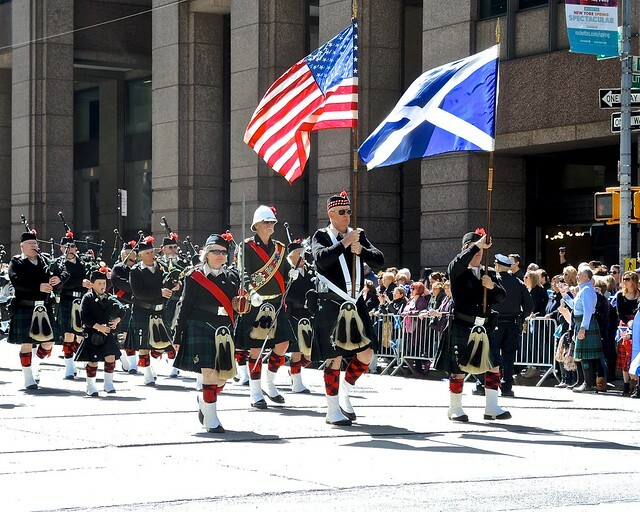 It featured thousands of bagpipers, marchers, dancers, dogs and representatives of organizations from all over the world who strode up the street, delighting all the Scots and “temporary, honorary Scots” who lined the route in Midtown Manhattan. 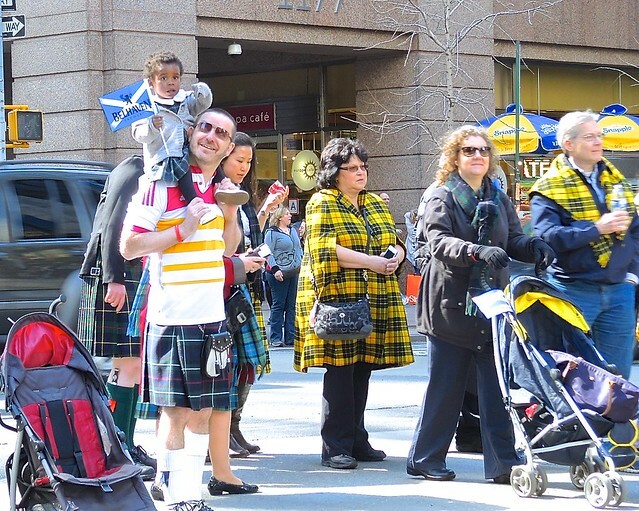 You are currently browsing the Blather From Brooklyn blog archives for April, 2015.